Vancouver (BC), June 1, 2016 – Vantage Airport Group, a worldwide airport operator and developer, today announced it has commenced overseeing the USD 4 billion redevelopment of LaGuardia Airport’s Central Terminal (Terminal B). The project will completely rebuild the terminal and construct a central hall that will create a single, unified LaGuardia Airport. Vantage Airport Group, with over 21 years of airport experience, will oversee construction for the project, operations and commercial development of the terminal building and central hall, transitioning management to the new building and continuing operations through to 2050. 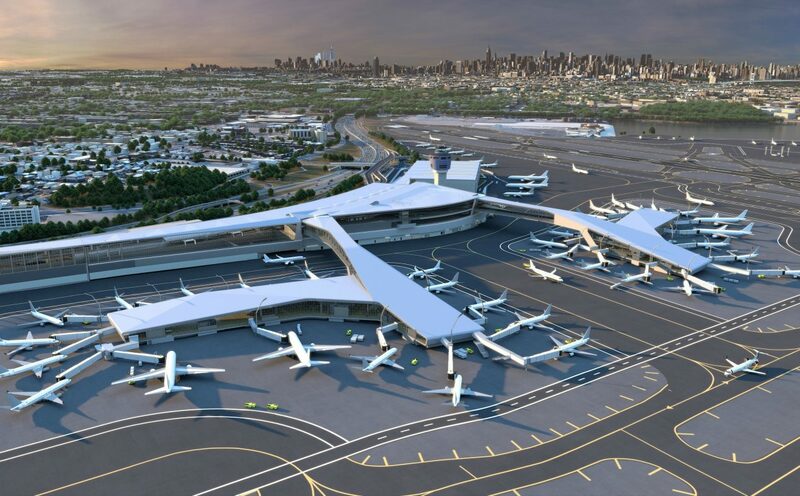 As part of the LaGuardia Gateway Partners consortium, Vantage assumes oversight responsibility following the successful closing at the end of May of a USD 2.5 billion marquee municipal bond offering for the USD 4 billion project that will be completed in phases over the next six years. A significant milestone is set to be achieved in early 2020 when 100 per cent of passengers will check in at the new 35-gate Central Terminal. The new terminal will include 1.3 million square feet of new space and dual pedestrian bridges spanning active taxi lanes—a first in the world. Within LaGuardia Gateway Partners, the consortium selected by the Port Authority to redevelop the Central Terminal Building, Vantage is responsible for equity investment, facility planning and development, operations, commercial development and maintenance. The team also includes Skanska and Meridiam as development and equity investment partners; Skanska-Walsh as the design build joint venture; and HOK and WSP | Parsons Brinckerhoff for design. LaGuardia Gateway Partners’ members have worked on more than 350 aviation and transportation projects globally, including international airports in New York (John F. Kennedy), Boston, Chicago, Los Angeles, Chile, and The Bahamas. Passionate about people, performance and place, Vantage Airport Group was one of the first companies to be involved in the global trend of airport investment and management. Since 1994, the company has been actively involved in making 28 airports better. It develops, implements and hones best practices at airports around the world, which results in financially stronger, more sustainable, better connected airports for the communities and businesses they serve. Vantage’s current network is made up of nine airports around the globe, including LaGuardia Central in New York.